Indie Memphis Film Festival is excited to partner with the Benjamin L. Hooks Central Library to present the 2013 Global Lens Film Series, sponsored by The Global Film Initiative. Global Lens 2013 premiered at the Museum of Modern Art in January and is now being presented in over thirty-five cities across the United States and Canada throughout the rest of the year. The series includes ten award-winning narrative feature films from Brazil, Chile, China, Egypt, India, Iran, Iraq, Kazakhstan, Mexico and Serbia. 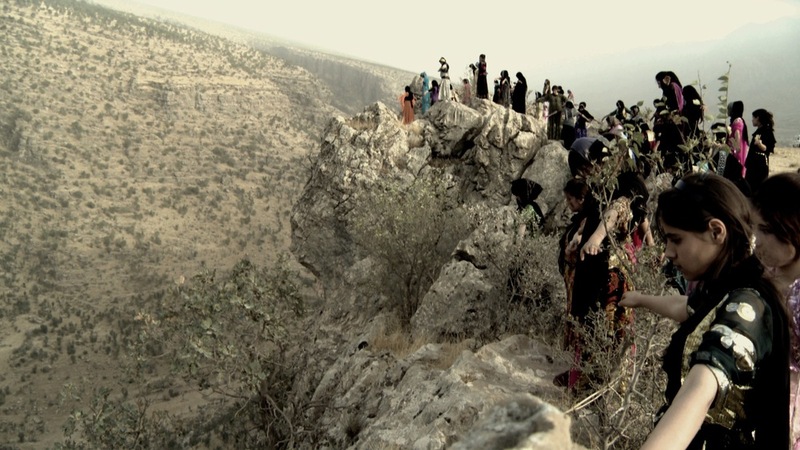 These screenings are free to the public and will be located at the Benjamin L. Hooks Central Library in Meeting Room C.
A government official, carrying a message from Iran’s president, travels across Iranian Kurdistan with his driver and a young guide on a mission to stop 111 young Kurdish women from committing suicide in protest against conditions that have left them spinsters. Racing against the clock, they travel into territory simmering with resentment at official neglect and the hardship it has sown among a proud people. Against a dramatically colorful physical and human landscape, wistful longing mingles with dreamlike desire and absurdist humor as the three travelers meander helplessly in a land riddled with contradictions. San Bao is a young man left behind by Beijing’s fabulous new wealth, having just lost his job, his apartment and the woman he loves (who’s left him for a richer man). Even Happiness, his dog, has run away from him. Lovelorn, self-destructive and desperately aimless, San Bao nevertheless has moments of euphoria amid his own despair, as he roams the sleek, shifting city with other soulful, cash-poor dreamers and misfits. Such heavenly losers form the vital spirit of Beijing in acclaimed director Zhang Yuan’s gorgeously gritty, angst-ridden portrait of youthful disaffection and perseverance in the teeth of heartbreak, ruthless inequality and unfeeling ambition. Three Cairene women from different backgrounds join together in uneasy solidarity to combat the sexual harassment that has impacted each of their lives. We begin on an overcrowded bus line, dreaded by Fayza as a daily site of humiliation and anguish. Responding to a self-defense talk by Seba, whose own assault has driven her marriage apart, Fayza fights back—and soon has a police detective searching for her amid public panic. Meanwhile, Nelly, an aspiring comic, faces pressure from family to drop a lawsuit against her attacker. Mohamed Diab’s deftly braided narrative tells a gripping, timely social tale through its patchwork of interconnected lives and deeds. Move over Ed Wood! Mexico’s half-forgotten B-movie master, “involuntary surrealist” Juan Orol, receives a pitch-perfect tribute in this irresistible love letter to a self-made man of showbiz, whose career spanned nearly sixty films. In a glorious black-and-white flashback mingling movie-tainted memories of his Galician childhood, forced exile to Cuba and arrival in Mexico, intrepid “Juanito“ pursues failed careers as baseball player, boxer, bullfighter and gangster before landing in the movies—where failure kind of works for him. As Orol, Roberto Sosa exudes droll underdog charm, anchoring a fast-moving comedy where every frame is an infectious homage to a golden age of cinema, the wile of memory and the art of fantasy. Leila and Kaveh are a mysterious pair from Tehran, traveling the mountainous countryside in their Lexus coupe to push big bags of money on the locals. This turns out to be not so easy, but fascinating to watch, as the cagey couple invent increasingly brazen stratagems to place cash in the hands of the wary, proud or indifferent. Will they push things too far? Are they losing sight of their mission? What exactly is their mission? Led by riveting performances from Taraneh Alidoosti and writer-director Mani Haghighi, this bold comedy-drama unfurls with unexpected force amid subtle themes of power, privilege and corruption. A group of gay activists in Belgrade strikes a tense alliance with Limun, a Serbian crime boss, whose fiancée demands an extravagant wedding that only struggling gay theater director Mirko and his friends can provide. In exchange, macho Limun reluctantly agrees to provide security for the group’s Pride parade. It’s a tall order: previous attempts to march met with mass violence from right-wing skinheads. When Limun’s gang balks at the assignment, he recruits a band of former Balkan war combatants, now dear friends, who will stand up to the aggressors Seven Samurai style, in this rollickingly shrewd and humane comedic take on a vital human rights issue. A solitary philosophy student steers his directionless life toward the commission of a violent crime, spurred on by postmodern musings and a post-Soviet order characterized by growing inequality, institutional corruption and a ruthless ethic of “eat or be eaten.“ Inspired by Dostoevsky’s Crime and Punishment, director Darezhan Omirbayev roots his nameless student in the losing segment of Kazakhstan’s new capitalist era, whose population watches the rich rise above common legal proscriptions and old-fashioned communal values. Omirbayev’s brooding protagonist may prove the willing student of the age, but he alone reckons with the consequences of his actions—a gesture strikingly at odds with a world losing a consistent concept of justice. An 80-year-old Kolkata retiree is on a mission to get his neighborhood streetlights turned off after sunrise after he notices they stay on all day as well. Shyamal Uncle finds his sense of propriety upset by this wasteful expense of electricity. But finding someone to take him seriously proves a battle against an indifferent bureaucracy and a complacent status quo (and is just maybe a welcome distraction from his otherwise dull routine). Suman Ghosh’s vérité-style film is alive with the sights, sounds and personalities of this old Kolkata neighborhood, as his unlikely protagonist pursues a quest that adds up to a wry, revealing, highly original tour of modern India. In this gorgeously dreamlike and mysterious tale, a young woman named Clarice gives birth on her deathbed to a baby girl also christened Clarice by the bruxa (or witch) attending the nearly simultaneous moments of death and birth. Spirited away to a remote lakeside village, baby Clarice lives her whole life in the span of twenty-four hours, and yet (as the film’s vast, black- and-white panoramas suggest) even so compressed a lifetime remains impossible to fully grasp or contain. In Eduardo Nunes’s assured debut feature, precious strands of memory, identity and desire add up to a palpable fairytale affirming our place in the ineffable stream of life. Life and death come wrapped in a mutual embrace, both absurd and poignant, in this smart comedy about an unlikely friendship between a grieving cinematographer and a morbidly obsessed drifter. At work on a seriously schlocky, low-budget horror film, Gaspar is still reeling from the untimely death of his beloved older brother when he meets Alvaro at yet another premature funeral. A mildly sociopathic young man with an unyielding curiosity for the dark side, Alvaro soon coaxes Gaspar out of his shell in unexpected ways, in a debut film that pulses with a sure cinematic style as it channels a compassionate vision of frail, formidable, unforgettable lives.